I have the great fortune of being from one of the most biodiverse places in the world. 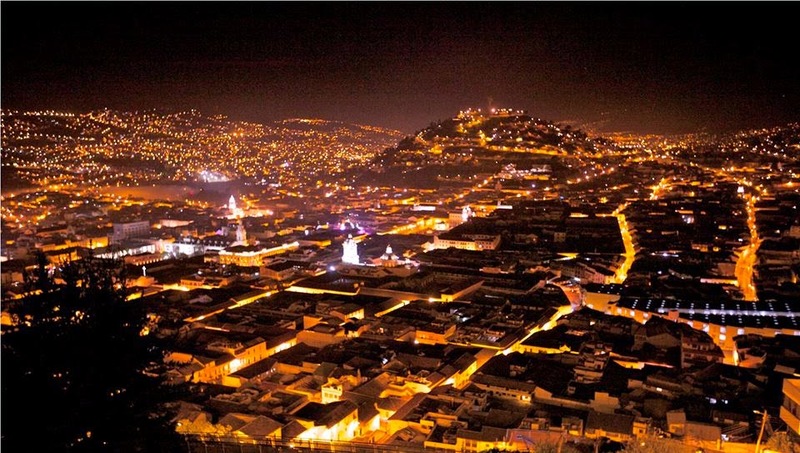 The rich cultural and natural diversity of my home country, Ecuador, has led me to pursue studies that integrate the natural and social sciences in order to conserve the environment, and at the same time promote social-economic development of the communities that depend on local natural resources. 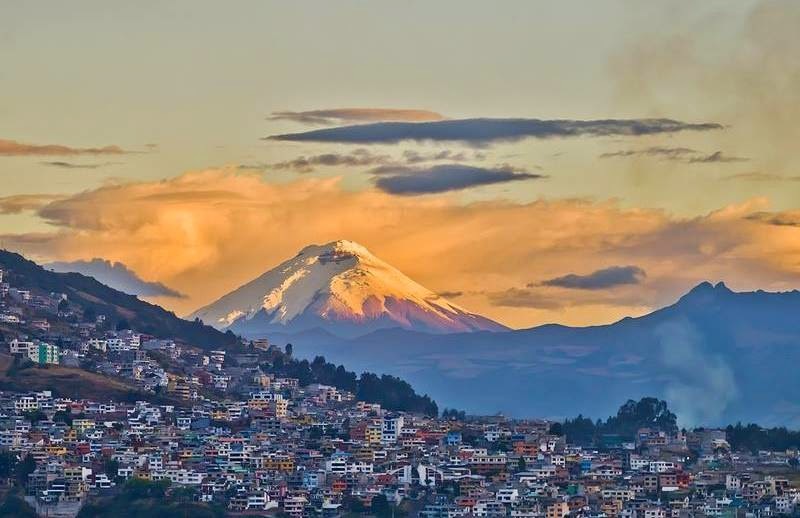 A degree in Ecotourism and a graduate degree in Ecology have helped me integrate human and natural systems and further my interests in understanding the different environmental challenges that Ecuador and Latin America are facing today from a holistic and integrative point of view. I started my PhD studies in fall 2013 in the Department of Geography. I am student in the NEO program because my main research aims are focused in Latin America. 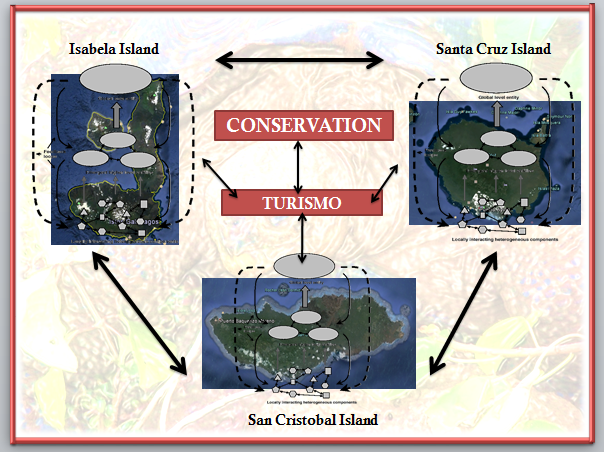 The development of my PhD research proposal is a continuation of Master’s thesis developed in San Cristobal Island in 2010. 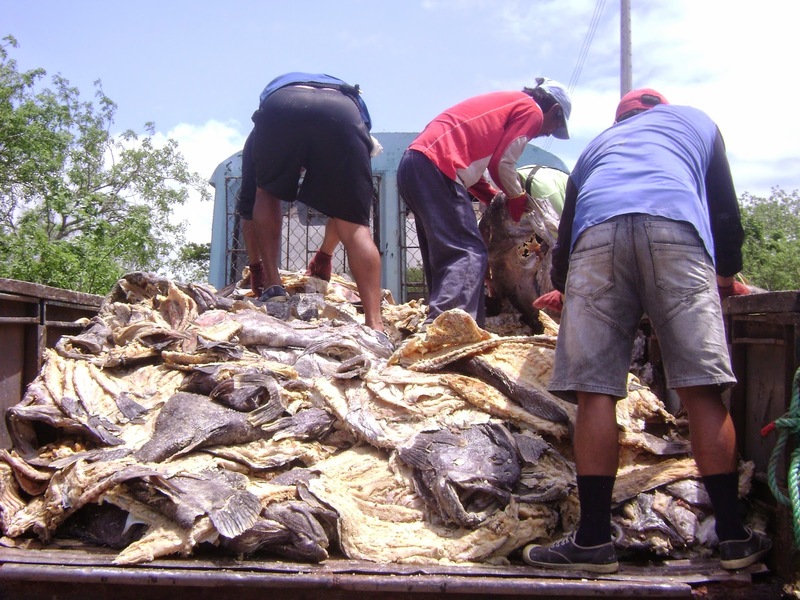 The research was focused on assessing the changes of the white fin fishery using an iconic species (Galapagos grouper, Micteroperca olfax) as an indicator of broader changes to the ecological community. Using fishers’ ecological knowledge and shifting baselines as the methodological approach, I assessed changes in the practice of this fishery and the status of the main fishing target species due to almost 70 years of continued fishing activity. Additionally, this study briefly explored social-ecological relationships amongst the fishermen’ household and their fishing activity. Biodiversity conservation is important, especially in sensitive places as the Galapagos Islands. However, it creates potential conflicts (trade-offs) amongst stakeholders, most notably between external, science-based, educated and often wealthy elites, and local households and resource users. The goal of conservation management research is to find “win-win” outcomes, but these are rare and may depend on the narrative selected to assess outcomes. Outcomes are influenced by power imbalances at many levels, from institutions at the global and national level, to the level of individuals within the community. In this regard, sustainable development implies both non-destructive use of environmental resources, and acceptable levels of social justice for stakeholders. Marine protected areas (MPAs) have demonstrated their effectiveness as a tool to preserve natural resources; however, their management and enforcement policies have substantial socio-cultural impacts, which have produced poor local consensus, and in some cases, hostility among social groups. Although effective for conservation purposes, this management tool has shown examples of unequal access of natural resources by different economic sectors within the protected area. For instance, the inherent economic advantages enjoyed by the tourism industry have marginalized the fishery and agricultural sector in terms of access and control of some MPAs. Tourism, and the income it generates, is cited as an option that can support sustainable development in biodiversity conservation sites. It can bridge opposing expectations because, in theory, it gives market value to biodiversity resources and so, on the one hand, should ensure their protection, and on the other, should provide substitutes for other local livelihoods. There are clearly inherent contradictions in this approach. Most notably, the idea of increasing the number of guests and providing improved infrastructure and services for them in areas whose value derives precisely from the lack of prior exposure and development. In addition, the idea that providing local residents with new livelihood options that are necessarily based on limiting flexibility in exploiting environmental resources, will not eventually stimulate rising expectations and place new demands on the protected resource base. Galapagos Islands are unique, not only in the geographic and ecological characteristics, but also by virtue of their status as a focus of conservation management. The value of the biodiversity resource is unquestioned, the importance of tourism as a way of “monetizing” that value is well advanced, and the stresses arising from the inherent paradoxes of this approach are evident as human population levels rise, tourist infrastructure increases, and the ecological impacts of tourism industry intensify. Moreover, the expectations of local populations continue to evolve, both with respect to individual livelihood expectations and to the understanding of the nature and importance of decision-making processes. Local rights, aspirations, capabilities and demands are essential elements of the islands’ ecosystems. My research considers both social and ecological indicators to compare three populated islands with respect to drivers and impacts of environmental change, and their effects on the interactions amongst stakeholders. The objective is to provide an understanding of the Galapagos’ system. The reason for attempting to replicate the assessment in the three islands is that certain factors are held constant across the islands (notably national and international actors and management interventions and legal frameworks), while other factors (notably population size, history, and livelihood options) are different. This comparison will allow some control of variables that influence the effectiveness of local engagement in conservation, tourism, resource exploitation, and decision-making. 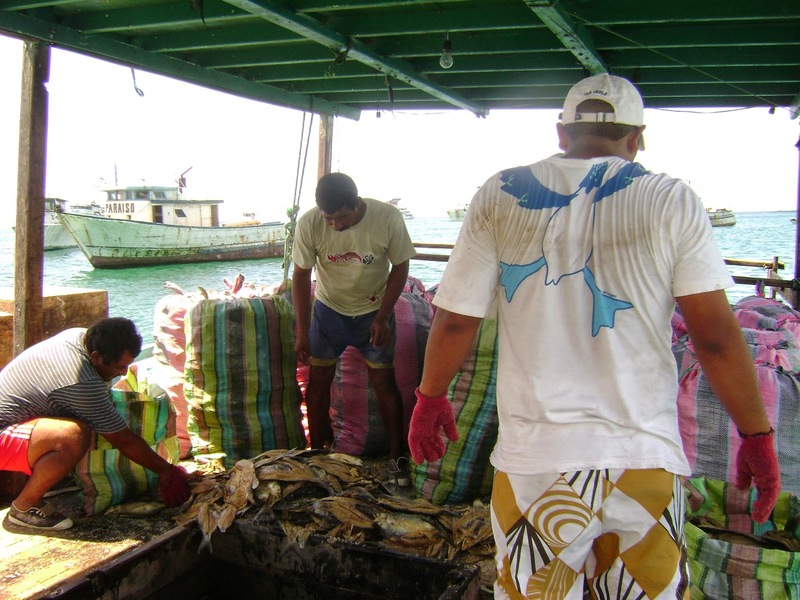 Identifying the socio-cultural, economic, and political differences of the three islands in relation to resource-based livelihoods in the face of tourism development will contribute to the understanding of the islands as subsystems, and advance the knowledge of the overall Galapagos social-ecological system. Given the intense effort that has gone into developing a management structure for this archipelago, it is expected that identifying differences in outcomes amongst the islands will help provide insights for its adaptive management, and sustainable development. Finally, considering the intense effort that has gone into developing the management structures in the Galapagos, it is expected that evidence of successes and failures in their management will provide valuable information for other biodiversity conservation initiatives in other parts of the world. Burbano, D.V. 2011. Shifting baselines en la pesca blanca de Galápagos: relaciones socio-ecológicas en ambientes marinos. Ms.c. Thesis Ecology. Universidad San Francisco de Quito, Ecuador. Burbano, D.V., C.F. Mena, P. Guarderas, L. Vinueza, and G. Reck. 2014. Shifting baselines in the Galapagos white fin fishery: Using fisher’s anecdotes to reassess fisheries management. The case of the Galapagos grouper. In: J. Denkinger and L. Vinueza (eds.) The Galapagos Marine Reserve: A dynamic social-ecological system. Social and Ecological Sustainability in the Galapagos Islands. Springer Science+Business Media, New York.